Find out how you can help your community! Volunteering is an amazing way to help your community! Volunteering is a great way to meet new people! Volunteering is the right thing to do! Volunteering is for all ages! Everyone should volunteer! Even celebrities volunteer! 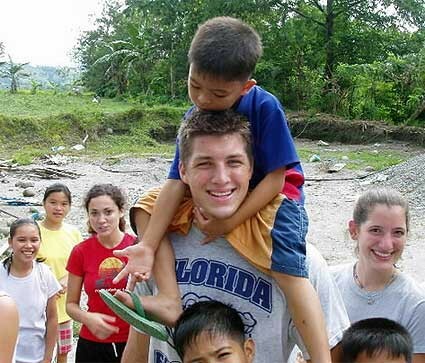 Tim Tebow volunteers on mission trips for his Church. Cameron Diaz volunteers with members of her community. Jennifer Love Hewitt volunteers with a friend while feeding the homeless.